Mint System is an Electronics and Software design consultancy, formed in 2003, based in Edinburgh. We are a small and friendly company offering innovative design services, typically for embedded systems in both engineering, consumer and academic fields. Included in our services are electronic design, embedded software, mechanical CAD, instrumentation & automation process design and the conversion of novel and original ideas into products. Mint System takes great pride converting novel ideas into working prototypes and products. We have a great deal of experience working with people's ideas, understanding their requirements, and quickly steering them through the maze of technology to rapidly produce working prototypes. Then with close ties to a variety of manufacturing companies within Scotland and the north of England these prototypes can quickly move to mass production. Mint System provides a number of hardware design services including electronic schematic design, PCB layout services, mechanical CAD. 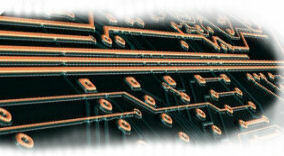 Electronic design includes analogue, digital and mixed signal designs. Additionally we provide full documentation support including manufacturing BOMs and production test plans to move the product into mass production. Mint System specialises in software design for embedded microprocessors. Typically coding in embedded C for 8bit and 16bit micro controllers. We can also provide PC interface software written in Visual Basic and Labview. We provide a large variety of communication interfaces depending on the applications and include TCP/IP, GPRS, CAN, USB, I2C, SPI, RS-232, RS485. Mint System has assisted a number of Engineering companies provide complex automation processes, from astronomical telescopes to military systems. We can provide all the electrical power and control system designs, along with the complete process control, from simple push buttons to large touch screen displays, typically using PLCs. We can provide manpower on site to assist with the installation, as well as testing and integration. Mint System over recent years has been involved in a number of projects involving telemetry and remote sensing, from the tracking and analysis of sea mammal behaviour, to designing bed side controllers to monitor epilepsy patients. The nature of low power data logging & processing using small embedded systems along with the complex task of transferring capturing data has become a specialty of the company. The simple answer is contact us either by email or telephone and we can have a chat about your requirements. We enjoy the chance to discuss new projects, no matter how small, or a chance to assist in new areas of research or engineering, and we hope you will quickly realise how flexible, responsive and cost conscious we are.